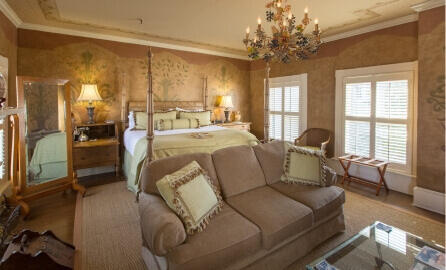 Escape to romantic Savannah at Ballastone Inn, the historic district’s celebrated, luxurious Savannah Boutique Inn. At affordable rates, rejuvenate with an enchanting Savannah weekend to Ballastone and enjoy Savannah’s five star rated luxury Inn. 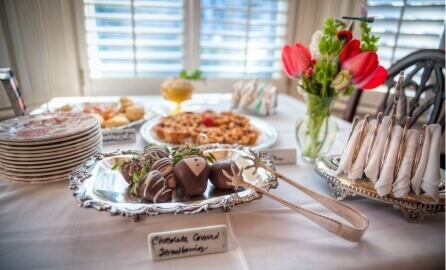 Our Savannah Boutique Inn is chosen year after year as Savannah’s Most Romantic Inn by those with discriminating taste. Getaway to the finest historic Savannah hotel lodging, 16 luxuriously appointed guest rooms, Victorian furnishings, elevator, modern amenities, elegant full southern breakfasts served in the mansion or in the lovely courtyard garden, high tea with delectable homemade delights, exclusive hotel bar, private courtyard garden, helpful staff, and unparalleled privacy. 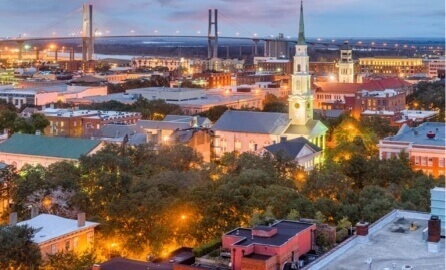 Whether visiting Historic Savannah and the Georgia Coast for history, a romantic getaway, intimate wedding, or a Boutique Inn escape, Ballastone Inn, Savannah’s historic, romantic luxury hotel awaits you. Rejuvenate with an enchanting Savannah weekend to Ballastone, built in 1838 and enjoy Savannah’s five star rated luxury Inn. Ballastone is chosen year after year as Savannah’s most distinguished Inn by those with discriminating taste. An antique bar with extended hours with a great selection of wine, beer, champagne, and soda. Beautiful courtyard to relax your day, stay awhile. Join us every day at 4 pm for silver service tea with delicacies.